Located at 1004 RJ Hughes Drive in Wahpeton, ND, the Chahinkapa Zoo features a robust lineup of 200 animals from six different continents, giving families and animal enthusiasts in Breckenridge and the surrounding communities an excellent opportunity for viewing their favorite species. Check out our favorite things to do at the zoo with Dakota Chrysler Center, your Wahpeton Chrysler dealer with plenty of new vehicle specials. The Chahinkapa Zoo is home to a variety of different primates, from our tree-swinging orangutan to the black-handed spider monkey, a number of different lemurs, the black-handed spider monkey, and even the squirrel-sized tamarin. You’ll also find an impressive lineup of great cat at the zoo, including the Bengal tiger, cougar, snow leopard, and bobcats. The Chahinkapa Zoo is home to exotic mammals from all over the world, from elk and grizzly bear to llama, zebra, alpaca, and rhino. From the awe-inspiring strength of the American alligator and red-tailed boa to a selection of tortoises from Burma, Sulcata, and beyond, the selection of reptiles at the Chahinkapa Zoo is quite something to behold. From the raw strength of the bald eagle and peregrine falcon to the beauty of Australian black swans and Saw-whet owl, the bird lineup is something you won’t want to miss. Let the kids enjoy the safe, hands-on experience of touching and feeding a number of animals at the Roger Ehnstrom Nature Center Grandpa’s Petting Zoo. You can also take classes, schedule field trips, and put on a birthday party at the zoo. 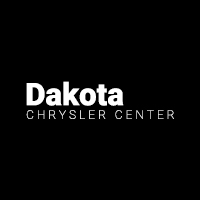 Stay in touch with the team at Dakota Chrysler Center for more exciting things going on around Fargo and the surrounding communities, and count on us for affordable auto financing and a rotating lineup of offers and incentives. And if you have any questions, you can always reach us at (701) 403-8016. While you’re here, check out our guide to the nearby Red River Zoo in Fargo.